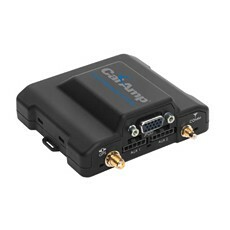 CalAmp’s new vehicle tracking and security devices use GPS and cellular modules from u-blox. Swiss-based u-blox (SIX:UBXN), a global leader in cellular and positioning modules and integrated circuits, has been chosen by California-based CalAmp (NASDAQ: CAMP) as GPS receiver and cellular modem supplier for their new line of vehicle tracking, anti-theft and insurance telematics devices designed especially for the Brazilian market. CalAmp develops and markets wireless communications solutions that deliver data, voice and video for critical networked communication applications such as fleet and asset management, stolen vehicle recovery, auto insurance telematics, power distribution, and public safety. According to GSMA, Brazilian government legislation will require stolen-vehicle tracking units in new cars and trucks starting in 2014. Additionally, large-scale adaption of fleet management and vehicle “black-box” recorders to help resolve insurance claims is rapidly increasing market demand in Brazil for robust and sensitive vehicle telematics units able to operate reliably in harsh automotive environments. “u-blox and CalAmp have enjoyed a long and successful partnership in the US fleet management sector, a collaboration that has become an excellent foundation for building a strong business in Brazil,” said Nikolaos Papadopoulos, president of u-blox America.